Minestrone apartment – sunny flat on the Király str! Exciting downtown flat with a bohemian atmosphere. With its good layout, this airy and sunny apartment on the third floor is the ideal place for you to recharge after your strolling. In the 2 bedrooms double beds and pull-out couches make it possible that seven people can rest in the flat comfortably. The kitchen and dining area are ready for feasts. Unique opportunity: cheap parking in a closed yard! This is the cultural centre of Budapest! Galleries, museums, clubs, theaters and the Opera House are just a couple of steps away! By taking the Continent’s oldest underground, you will get to our “Central Park”, where you will find the Zoo, the Széchenyi Thermal Bath, and at the Heroes’ Square, the Museum of Fine Arts and The Kunsthalle. 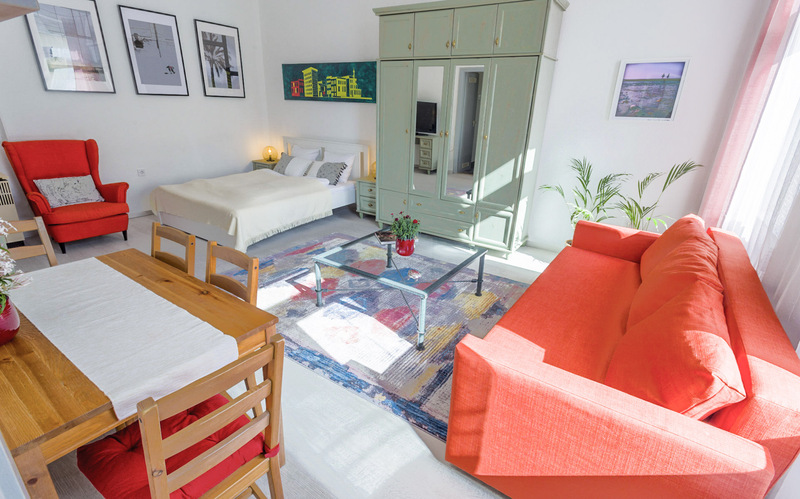 This apartment is the perfect basis to anybody who wants to get to know Budapest.